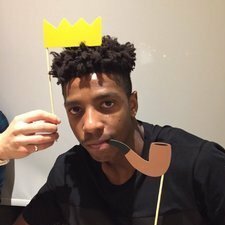 Dominique Malonga had the most liked content! Tbf Hamilton fans pretty much do follow a junior team. Wins a win but let’s be serious here it was against a quintessential diddy club in Hamilton. I could go into the local boozer at shutting time and drag 11 folk out that would give that mob a game. Couldn’t agree more. Before the interview even starts the applicant should be asked to sing an impromptu verse of “Broad Black Brimmer” to determine wether or not the club are wasting their time. Every time that I read one of Pet Jeden’s posts, I have a sudden urge to claw my own eyes out. Absolutely gutted Efe is away, our best player imo. You got lemon with me before on here before promptly apologies once you realised how much of a radge I was and the bevvy had worn off. Which leads me to assume you were pished when you wrote this post. You’ve already shat it from me once bob so less of it eh ? The wee Jambo with tears in his eyes after witnessing his team getting their clock cleaned to the tune of 5 zero. Glorious. I wasn’t too keen on this Robinson fella but he’s maybe an ok bloke after all. Well known racist hopes to attend the game of a racist club. Shocked by this. 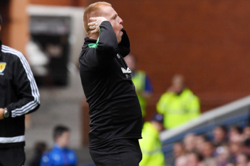 Is Lennon resigning, or not?? I’d hate to think Lenny will be forced to flee the country but it appears the bigotry against catholic’s has came to a head, absolutely shameful stuff. This will be another string to Heart of Midlothians bow as they have already forced a family to flee the country after suffering racial abuse. You can laugh about it now, but I got a parking ticket that day.